Natural Foot Scrubs and Homemade Recipes! Pamper yourself with homemade natural foot scrubs! The feet can be the most neglected part of the body. They get a workout everyday by walking, running, standing or other activity. Some feet spend hours a day cramped in tight shoes, sweaty socks or other foot apparel. Some have itchy feet, foot fungus, calluses, cracked heels or other skin condition. A little tender loving care can go a long way to having beautiful feet! Find homemade recipes! -- FOOT TUBS: These can be basic or fancy. A large simple basin will work fine. Add smooth stones or marbles at bottom of basin. Add lukewarm water. Fancy tubs are home foot spas that massage with swirling water. Some of these are heated and lighted. Some have touch toe settings from high to low. Careful, read directions thoroughly. 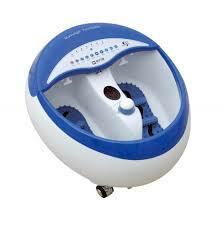 Adding certain ingredients to fancy foot spas may clog the water jets. -- PUMICE STONE: Helps exfoliate feet. Available on handles, ropes or hand held. 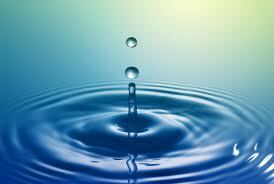 -- CLEAN WATER: Lukewarm or cool. 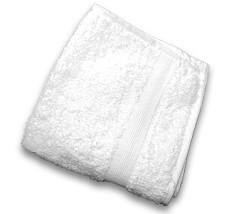 -- CLEAN DRY TOWELS: Used to gently pat dry. -- MOISTURIZER: Optional. Helps soothe and restore. With all of these homemade recipes, blend or mix ingredients well. Use organic ingredients for the best results. Gently massage foot scrubs on feet in slow circular motions. Rinse feet, thoroughly, with clean lukewarm or cool water. Gently pat feet dry with clean towel. Apply your favorite moisturizer, if desired. Restore tired, achy, itchy feet with natural foot scrubs! Mix 4 tablespoons of non-iodized salt with goat milk lotion to desired consistency. - Soak feet for 10 min. in 5 cups water and 1 cup milk. - Mix 4 tablespoons sugar in 1/2 cup coconut oil. - Massage mixture into feet. 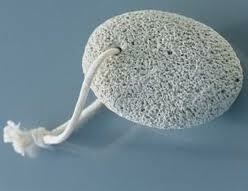 - Scrub bottom of feet with pumice stone. - Rinse feet with water, thoroughly, and pat dry. - Apply cocoa butter as moisturizer. - Wear socks to bed. Remove socks in morning. Blend 2 ripe bananas or papayas to pasty texture. Spread on feet. Set for 15 minutes. Rinse feet with water, thoroughly. Pat dry. Soak feet in warm water and small amount of organic honey for 10 minutes. Rinse feet with water, thoroughly. Pat dry. Apply extra virgin olive oil to clean feet. Do you suffer with foot fungus? Athlete's foot fungus is a ringworm fungus located on the bottom of the feet or between the toes. It’s an infection on the surface of the skin. On average, approximately, 70% of people will have athlete's foot fungus some time in their life. Discover causes, symptoms and homemade recipes for athlete's foot fungus. Natural body products are nourishing for skin! "Fine Feet Honey Scrub" is a heavy foot scrub. Made from imported Dead Sea salt, goat milk soap and raw honey. It's designed, especially, for callused and cracked heels. This is an emulsifying salt scrub when contacted with water. It penetrates deep down where the skin is still alive, softens calluses and allows cracks to slough off. The pain from cracked heels is relieved, almost immediately, from all of the emollients in this homemade foot scrub! "Gold Label Spa Scrub" is a mild and gentle Dead Sea salt scrub with other natural ingredients. It provides pretty serious exfoliation, without leaving a heavy feeling on the skin. Leaves feet feeling soft and conditioned. This homemade foot scrub is made from imported Dead Sea salt and natural goat milk soap. Dead Sea salt is exfoliating while goat milk soap is extremely moisturizing. This is an emulsifying salt scrub. It mixes well with water instead of running off as an oil. Skin is left feeling amazing!